Thank you to WhatNot Toys for providing me with product, in exchange for my honest review. All opinions shared below are my own. One of the things I enjoy about being a parent is spending time playing with my daughters. 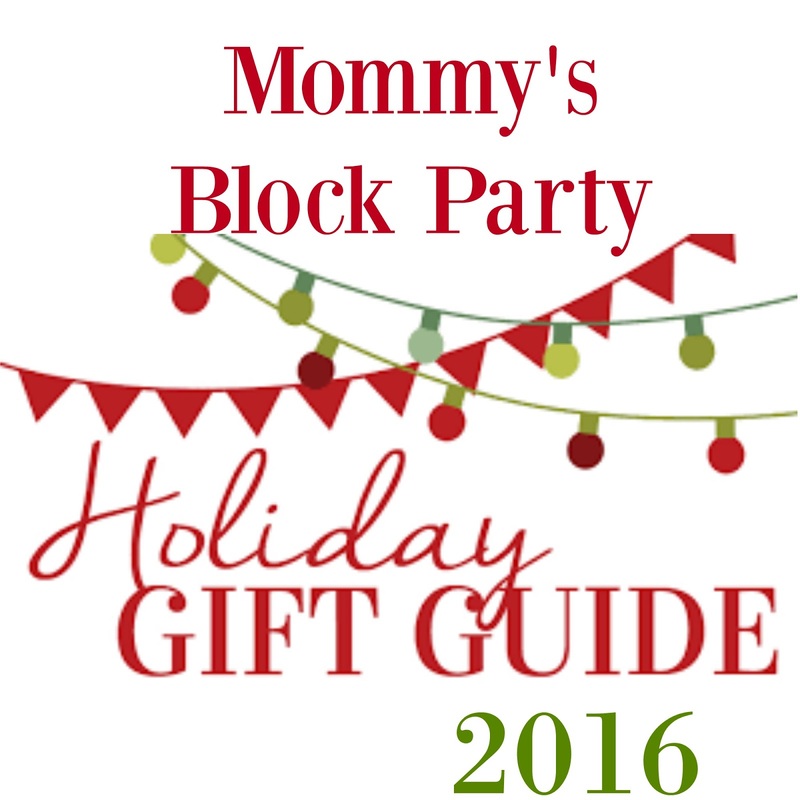 Anything from tea time to board games to playing with their toys. Let me tell you, they've got some pretty awesome toys (back in the day me is a bit envious) and some of our new favorites are the Kitty Club Collectibles from WhatNot Toys. 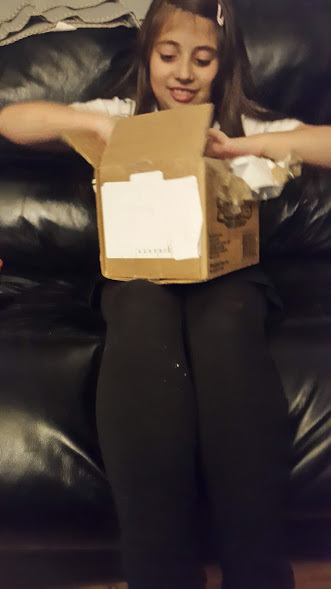 D was super excited to open her package from WhatNot Toys. 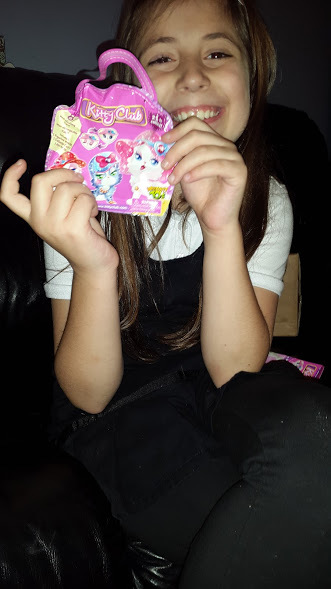 That excitement became 5 times as great when she saw what was inside- 5 sweet kittens; 1 in a blister pack (Emily) and 4 in blind (surprise) bags. 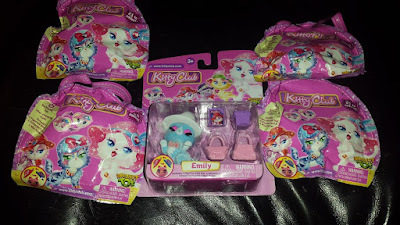 D (and R) recently discovered "toy reveal" videos on YouTube, so having the chance to open some of the "blind bags" was sort of a dream come true for her. Once she opened all of the packages (in addition to Emily, she received Charlotte, Elizabeth, Lauren, and Lily kitties) Drew sat for quite some time on her own trading hats and setting up play scenes for her precious kitties. She eventually let R and me join in on some play time and we all had lots of fun enacting D directed scenes together. I think we'll be grabbing a few more of the surprise packages as stocking stuffers for both girls (and a few cousins) because these sweet kitties are just too cute! D, Before She Let Us Join in! These Would Be Purr-fect to Carry All of Your Kitties and Their Accessories! 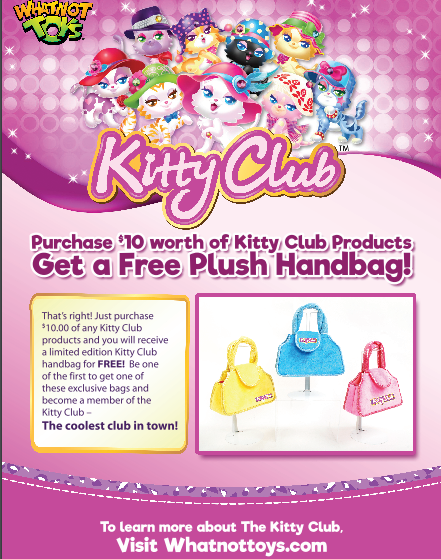 Visit WhatNot Toys to "Meet the Kitties" and browse through all of the Kitty Club products. 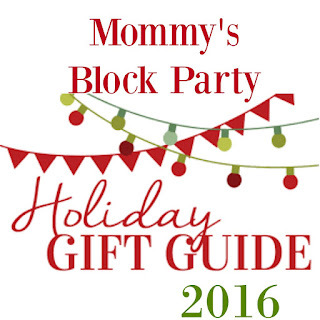 You can also find out which retailers near you carry Kitty Club and other WhatNot Toys items. You can connect with WhatNot Toys on Facebook, Twitter, Pinterest, Instagram, YouTube, and SnapChat! 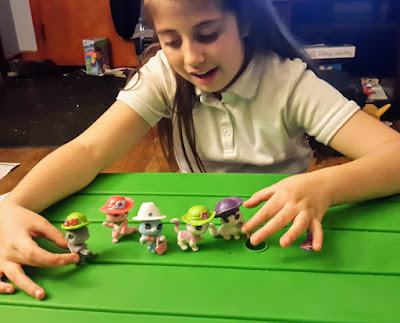 Special thanks to Ned and Elyse and the entire WhatNot Toys family for the chance to review and share about Kitty Club Collectibles this holiday season!